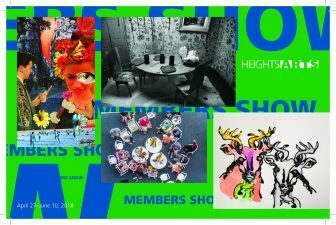 Heights Arts presents our inaugural Members Show exhibition, a non-juried exhibition comprised of works of art created by Heights Arts members. Works range from traditional photography and portraiture, to pottery and fiber work and will be on display beginning Friday, April 27, through Sunday, June 10. Artists will be available at the opening reception to discuss their works.